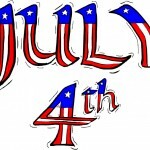 Surfnetkids » Independence Day » History » What Is the Declaration of Independence? The Declaration of Independence is extremely significant and is one of the most important documents in the history of the United States. It signifies the break from the rule of King George III and from Great Britain. The Declaration of Independence is a symbol of American freedom and independence from British rule. The Declaration of Independence is an act of the Second Continental Congress that was adopted on July 4, 1776. The document declared that the thirteen colonies in North America were free and independent states. It also declared that “all political connection between them and the State of Great Britain, is ought to be totally dissolved.”? The Declaration was an expansion of Richard Henry Lee’s Resolution which had been passed by Congress on July 2. 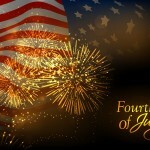 The Declaration of Independence is considered to be the founding document of the United States of America and is celebrated as such on the fourth of July as the nation’s birthday. At the time, John Hancock was the President of the Continental Congress and was the first and only person to sign the Declaration on July 4th. It was not until a month later that the remaining fifty five delegates signed the document. Thomas Jefferson actually admitted that the ideas contained in the Declaration of Independence had been commonly expressed throughout the seventeenth and eighteenth centuries. The Second Treatise of Government written by John Locke was probably the predominant source of inspiration from which Jefferson wrote the Declaration. There were also claims that Jefferson had borrowed writings from a piece written by James Otis and Samuel Adams in 1772. Others claiming that he gained inspiration through Scottish philosophers, George III’s infractions, the English Bill of Rights, and Richard Henry Lee’s motion of June 7, 1776. Stephen Lucas suggested in 1998 that Jefferson had received inspiration through the Dutch Oath of Abjuration. Both show similarities, especially the principle of people’s right to denounce and overthrow their leaders should they fail to respect the people’s laws and traditions. As you can see there may have been many possible documents and writings from which Thomas Jefferson drew inspiration: the end result being the same; independence from Great Britain. The Declaration of Independence served not only as a symbol of freedom but was also used as a propaganda tool that Americans tried to use to establish clear and concise reasons for their rebellion. They believed that this might persuade reluctant colonists to join them in their cause. The Declaration was also used as a foreign policy announcement. As the United States was now a separate nation, the war escalated from a civil war to a war of independence and now other foreign nations that were enemy to Great Britain were free to intervene. As the relationship between America and Great Britain grew more tense, Americans decided to set up a shadow government. They formed the Continental Congress and Committees of Correspondence. After the Declaration of Independence was adopted on July 4, a handwritten draft was signed by the President of the Continental Congress, John Hancock and the Secretary Charles Thomson. It was sent to Dunlap broadsides to be published. The first public reading of the Declaration was by John Nixon in the yard of Independence Hall on July 8, while one was sent to George Washington on July 6 in which it was read to troops on July 9. The first actual publishment was made abroad in London on August 10. Although the original handwritten copy has not survived, twenty five Dunlap broadsides are still known to exist today and are quite possibly the oldest surviving copies of the document. So what is the Declaration of Independence? 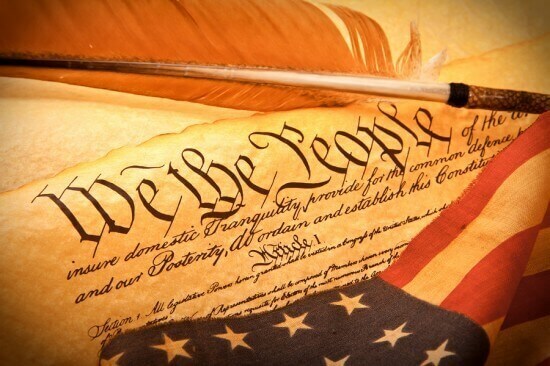 It is in fact the founding document that has made the United States of America what it is today. "What Is the Declaration of Independence?." Surfnetkids. Feldman Publishing. 20 May. 2008. Web. 21 Apr. 2019. 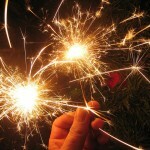 <https://www.surfnetkids.com/independenceday/260/what-is-the-declaration-of-independence/ >.